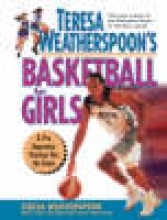 A WNBA superstar provides instruction and advice for young women who want to play basketball, covering dribbling, passing, shooting, and rebounding, as well as individual and team offense and defense. Original. What Makes a Team Player.